You don’t need to understand web design to create a professional website. There are plenty of resources that make building a website easy regardless of your experience level. And there are many advantages to having your own website. First, your site gives potential readers browsing the internet more opportunities to find you. With a personalized site, you can sell your books, maintain and update an events calendar for your book tour, get readers to subscribe to an email newsletter, post blogs, and share information about yourself to develop a closer relationship with your followers. Review the professional websites of authors in your niche or genre. 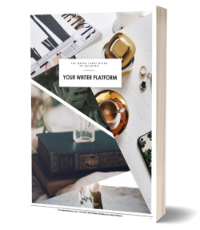 This will help you get inspiration for how to develop your own, as well as guide you towards the type of content to include on your author site. What colors, image types, fonts or patterns are commonly used in your niche/genre? How are the ‘competitor’ sites structured? How are the ‘Home’, ‘About’ and other pages organized? Does the site do a good job of drawing you in? Are they static pages or dynamic (updated frequently, regular blog posts, etc.)? How do they make it clear to readers and visitors what the site is about? Are there clear calls to action (is it clear what people are supposed to do: read a post, sign up to the newsletter, purchase a book or service)? No matter what types of books you write, you should always include certain crucial elements. An ‘About Me/Bio’ page, for example, gives your readers more information about both your personal and professional life. You can also use this area of your site to establish your expertise in the subject matter you cover. If you tend to promote your books at live events, include a calendar. You should also post links to your social media accounts and maintain a page that shows where customers can purchase your books, or include links to pages where they’re available. Also look to share an email newsletter sign up option. Keep in mind, more people browse the internet on mobile devices than computers now. Confirm your site looks well-organized on mobile before publishing it. Email is still an effective marketing channel, even if you’re targeting younger readers. Thus, you should include it as part of your strategy. You’ll start growing your subscriber list by prompting people who visit your website to sign up. Over time, if you send valuable content, followers will help you grow your list by sharing it with their own family and friends. Just remember to familiarize yourself with the updated GDPR regulations to ensure you’re in full compliance, no matter where your audience is located. Your email newsletter shouldn’t serve solely as a tool to promote your books. Your email newsletter shouldn’t serve solely as a tool to promote your books. Use it to reward loyal readers with exclusive samples of upcoming work, special deals, or promotions. Share content they would find interesting. Segment your email list so new followers receive more introductory information and older followers are spared from repetitive or irrelevant content. Monitor how your emails perform. 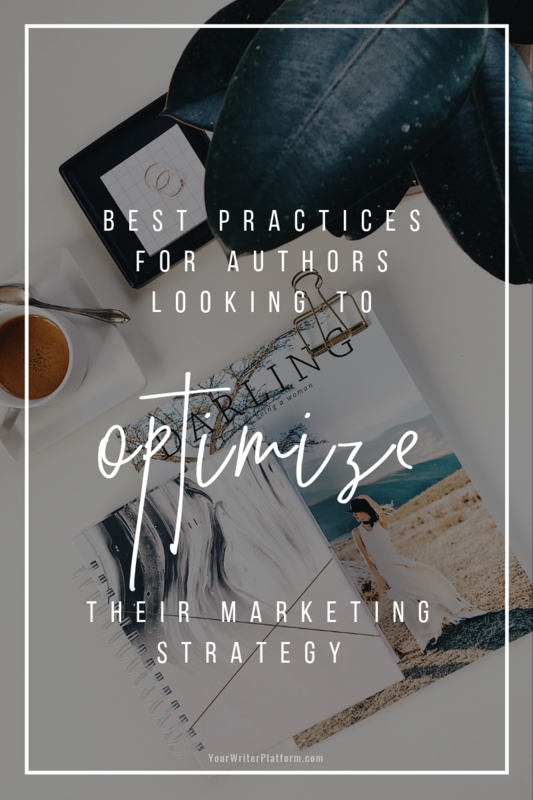 Doing so will give you a better understanding of what types of content your followers want, what types of subject lines are more likely to get clicks, and how often you should send emails. Following email best practices, like segmenting and regularly cleaning your list, will help you make the most of each campaign. Tracking your progress as you go is key to refining your campaigns in the future. First, understand that social media is not merely one channel. There are many different platforms, and each offers its own set of unique benefits. Facebook gives you access to 2.23 billion active monthly users. With Instagram and Twitter, you can leverage popular hashtags like #amwriting to network with other authors. LinkedIn offers similar networking opportunities if you cater to professionals in a specific industry. Snapchat is extremely popular with young people. Thus, you should grow and maintain a presence on one or two platforms to start. For example, Facebook can give you the chance to share relevant content with your followers and target new readers with ads. 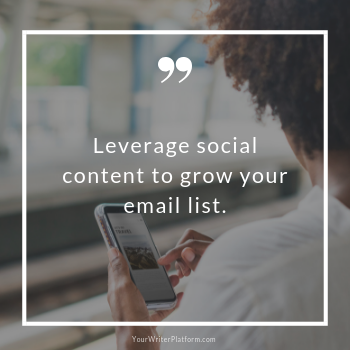 You can then leverage this content to grow your email list by encouraging your followers to subscribe if they want similar content. Again, with Twitter, you can use author-centric and genre-centric hashtags to find other writers and readers in your niche. Twitter users expect you to post more often than you would on Facebook. Therefore, you can look to join trending conversations on the platform that may be relevant to your target audience. Poetry appears to be enjoying a rise in popularity, making it one of the fastest growing genres in the publishing industry. And “Insta Poets” are capitalizing on Instagram as their platform of choice. Remember, social media should be, well, social. Search for other authors in your niche on Twitter and follow them. Retweet their posts and reply to them from time to time. Promote other author’s books, not just your own. This is key to growing your professional network. Help them find more readers, and other authors will be more likely to help you in return. Ilan Nass is an Experienced performance marketer with 7 years experience helping B2B and B2C companies grow. Spent 5 years running Taktical Digital, a paid social performance marketing agency. Skills include SEO, SEM, Content Marketing, Paid Social Ads and more.